A few weeks ago, I wrote a blog about coaches who play favorites, giving some kids more playing time than others for various valid – and not so valid – reasons. After the blog ran, I heard from many parents of kids who were on the short end of the favorites ‘stick’, but what surprised me was that I heard from parents w hose kids were the beneficiaries of being the coach’s favorite player. One parent of a former high school and D1 college soccer player says that, when your child is – or is ‘perceived to be’ – the coach’s favorite, even if he or she IS the best player on the field, the situation is fraught with landmines for both the child and the parents. 1. Teammates and teammates’ parents often undervalue the ‘favorite’ player. Instead of attributing the player’s success to her skill (which may, in fact, be superior), teammates and their parents attribute it to her position as the coach’s favorite. You might hear other parents say to each other, “Of course Susie is starting. The coach loves her,” completely discounting her skills. Other players’ parents also often look for signs that their kids are just as talented or just as skilled, so they dismiss your player’s skills. 2. Coaches put extra pressure on the ‘favorite’ or best players. Often, a coach doesn’t even know he’s playing favorites. He expects so much of his favorite player – he must be a star on the field, a star in the classroom, and a leader off the field – that if he makes a bad decision or fails to be at his best (as every child does), the coach is particularly heartbroken over his shortcomings. Imagine the coach telling your son, “No one could let me down like this except you.” While the coach means to tell the player how much he values him, instead he comes across blaming him for not being perfect. That’s a really tough situation for any child or teen. What’s more, when a coach puts his favorite player in a leadership position – say, making him captain – he often assumes that the child will automatically rise to the occasion, and the coach fails to put any energy into developing the child as a leader. However, no one, especially a teenager, is great at leadership without support and training. What’s more, very often the player is not ready for the leadership role—and his team may not be ready to receive him as a leader. Instead of respect, he encounters resentment. No one wins. 3. 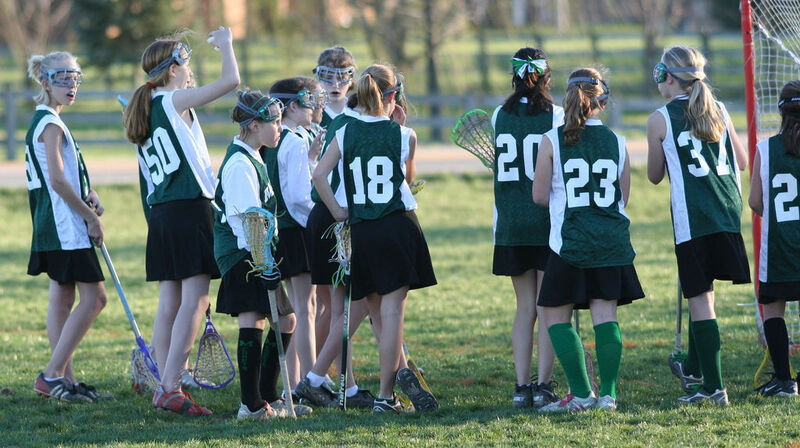 The player feels less self-confident than her teammates and continually questions her skills and abilities. Unfortunately, the ‘favorite’ player may begin to believe her naysayers and think that she is the captain or a starter because the coach loves her, not because she has earned it with her skill and work ethic. She may try to underplay her skills in order to “give other girls a chance,” discounting her own abilities and, ultimately, putting her team at a disadvantage. 4. The parents of the ‘favorite’ player must tread lightly to avoid resentment and repercussions from other parents. Want to cheer for your daughter? Watch out—not too loudly, please. And yet, your child wants to hear her mom’s cheers as much as her teammate does. Imagine how this comes across to a teenager, whose relative immaturity causes her to make the following bizarre leap in logic: “My mom won’t cheer for me. I must not be as good as coach thinks I am. I really am in this position because I’m his favorite.” It’s a horrible Catch-22 for the whole family. What’s more, if you are a parent with a talented player who is perceived to be the coach’s favorite, you need to be careful with your volunteer efforts, lest you reinforce any assumptions about why your child is a starter or is captain. If you’re hard-wired to volunteer, you’ll need to find ways to do so without anyone knowing it (e.g., quietly organizing uniform purchases or anonymous snacks). Have you encountered a situation where your child is the ‘favorite’? What additional pressure have you — or your child — felt because of this? Is the grass that much greener on the ‘favorites’ side? We want to know your thoughts!